I need your fish photos! As you can see I dont have many fish photos on this website. 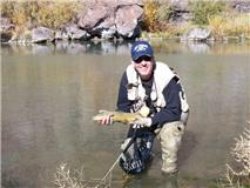 I typically fish without a camera and I have just the one picture of me fishing on the Owyhee. Please send me your photo and I will add it to the website. 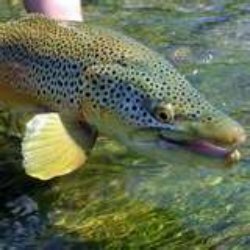 There are many places I can post your photo on this website such as the Fish Photo page, your state page or a specific river page to name a few. The better your picture the more prominent place it will be displayed. Send me your photos using the form below and send additional information with it. Tell me where you caught it, what you were using, your name and anything else you thing viewers would like to read. Thanks for sharing! Here is a nice Steelhead caught earlier this year that my friend sent me. That is a nice fish. Here is another great looking Steelhead. If it was any larger it might grow legs. This is a Monster Brown Trout. It must be close to 40" long. How would you have liked to have netted this Trout? Here is a picture of a nice Bone Fish my friend Rich caught on a recent trip to Mexico in Jan 2011. 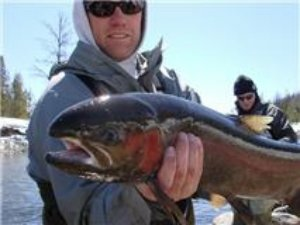 This is a great looking Rainbow Trout. Just take a look at the colors of this fish. What a beauty! 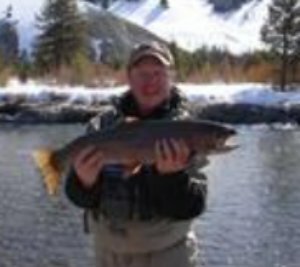 Here is a picture of me with a 24" Brown I caught on the Owyhee River in Oregon. The nice thing about this river is over half the fish I catch are at least 20" long. This was a great fish! 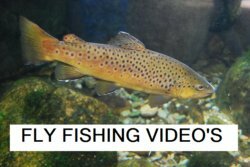 We want your favorite fish photos. 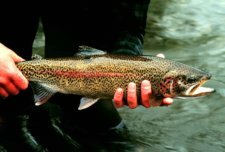 Enter the fish photo contest that runs through Jun 30, 2011 and you may win a gift certificate to Cabela's. Be sure to give me your email address so I can get back to you. Enter your name or a name for your fish or fish story..
Add your photo. Click the button and find the first one on your computer. Select it and click on the button to choose it. 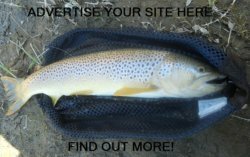 Leave this fish photo page and return to the home page.